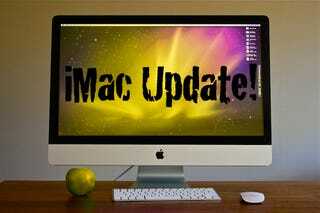 In this week's iMac update, we talk to an Apple Authorized Service Provider/Reseller from the UK. And what does he tell us? Apple is so short on 27-inch displays that they're paying customers 15% to simply return faulty iMacs. The yellow screens have yet to be fixed. The flickering screens have just been addressed with a second firmware update, but we can't tell whether or not this update fixed the problem. (Write submissions@gizmodo.com to let us know your experience). 27-inch iMacs are still being delayed in what is allegedly a complete halting of their assembly line, though Apple has denied it. The three-week delay of last week has been shifted to a two-week delay (but such is to be expected, as we're a week later in whatever fix Apple appears to be working on). Of course, if Apple's screen issues are in any way related to believed supplier LG's production methods, these delays might not help. LG-sourced Dell displays are having color issues, too. What's With the Apple Payouts?? The short of it is that apple doesn't have any 27" LCDs in Europe and there is a backlog of 230 machines that are waiting on this part, with no eta on shipping. So to keep customers happy(ish) they're paying them. That's right apple is now (quietly) offering people a full refund and 15% of the price extra, and they are arranging a free pick up of your machine. I'm not 100% if this is the case in the US, but it's happening over here in the UK. As far as i know it's both Apple stores and 3rd party retailers, but the refund itself comes from Apple not the 3rd party retailer. We've had two customer that have both gotten there machines' refunded plus the 15%. In real numbers, that's an apology of $300 or more on Apple's part. "The 27-inch iMac has been a huge hit with customers and we are working to increase supply to meet up with strong demand."